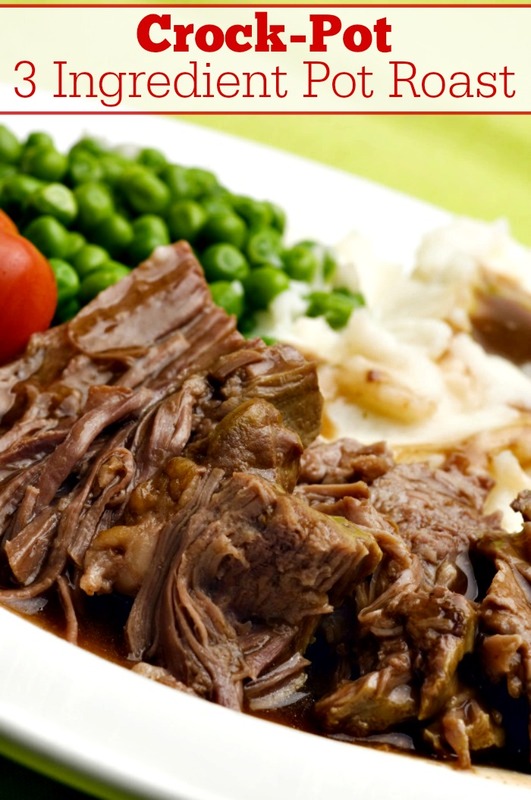 The family will love this easy “dump and go” recipe for Crock-Pot 3 Ingredient Pot Roast. The meat is so tender. It can also be made into a freezer meal! 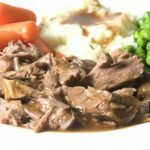 If you are looking for a super easy and quick recipe this recipe for Crock-Pot 3 Ingredient Pot Roast is just what you need. As the recipe name implies there are just three ingredients…a 3 to 4 pound beef pot roast (we like a nice chuck roast that has been trimmed well of any excess fat), a can of condensed cream of mushroom soup (low sodium is great here) and a cup of beef broth (again…go for the low sodium). And that is it. 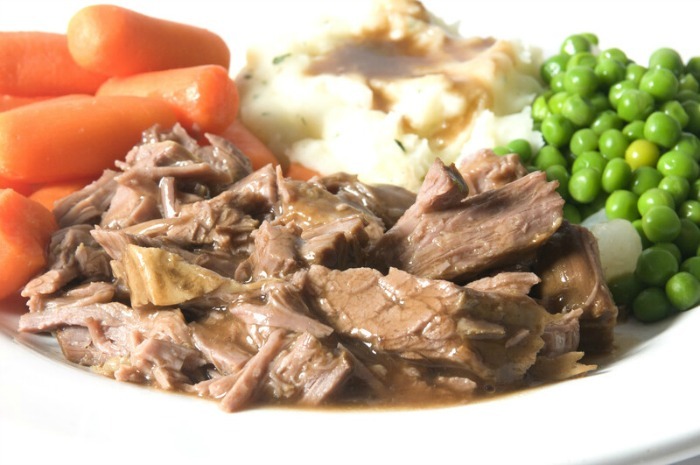 You just dump those three things in a 5 quart or larger slow cooker and let it cook away for 8 hours on LOW and you end up with melt in your mouth, fork tender pot roast! We know that some folks have an aversion to using canned cream of type soups and we get that. Instead make up a batch of this Homemade Cream of Anything Soup Mix and add some chopped mushrooms. Additionally if you do not have canned beef broth on hand you can use 1 cup of warm water and a tablespoon of concentrated beef soup base. This is something we always like to have in our pantry so that we have broth easy to make in a moments notice. This recipe can also be made into a quick and easy “dump and go” freezer meal that you can pull out of the freezer in the morning and pop it all in the slow cooker and cook it all day while you are at work. Just add all the ingredients to a gallon sized freezer bag. Be sure to label your freezer bag with the name of the recipe, ingredients and cooking instructions. This meal can be cooked from the fully frozen state by adding 2 additional hours to the cooking time (10 hours on LOW) or you can thaw the meat in the freezer bag overnight in the refrigerator and cook for the normal recipe cooking time of 8 hours on LOW. We like to serve this pot roast with some cooked egg noodles (the gravy from the meat goes well) and some sort of vegetable like steamed broccoli or carrots. You can also toss in a cup or two of diced potatoes and carrots and let them cook with the pot roast. 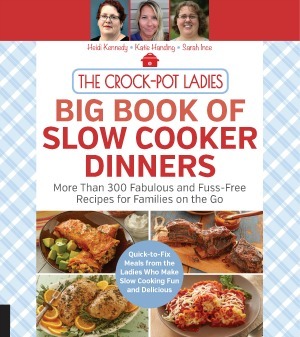 Add all ingredients to a 5 quart or larger crock-pot.